Rotonda Lots and Land provide a wide variety of choices for building lots. Rotonda and Rotonda West neighborhoods are located on Cape Haze, close to Englewood Beach and Boca Grande, great places for swimming, boating and fishing. Inside the circle you will find larger lots, many which overlook beautiful golf courses, greenways or peaceful freshwater canals. In Rotonda Heights or Rotonda Lakes you can find smaller, more economical lots with all the utilities available inside the circle. To the Southeast of the circle you will find Rotonda Sands, Rotonda Villas and Rotonda Meadows, areas that are quickly developing with new, up to date homes. Browse the current lots for sale in Rotonda and choose the property that best fits your building plans. 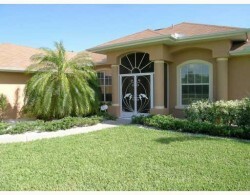 Suncoasteam realtors specialize in Rotonda West, Florida lots for sale. Over the years, we have helped scores of buyers find the best property to suit their needs. Your Suncoasteam agents know Rotonda West and will help find an excellent building lot at a reasonable price. Please 941-235-7474 or email us at sales@suncoasteam.com today with your questions. We are here to help.